With more than 300 people committed to the airport’s snow removal efforts, situational awareness is critical to ensuring safe and effective winter operations, says Mark Wisbeski, BWI’s supervisor of airport operations. His search for a solution to facilitate more efficient snow removal operations culminated with the purchase of an airfield monitoring system designed to improve safety for the airport and its tenants. “Back in 2015, we wanted to see about a program that would give us more situational awareness during a snow situation,” explains Wisbeski, noting that team leaders oversee snow removal efforts on all runways, taxiways and ramps. Winter storms not only create hazardous conditions for aircraft, but also for snow removal crews. Low visibility, for example, makes it difficult for team leaders to know where their crew members are located. At BWI, each team leader is responsible for 10 to 15 pieces of equipment at any given time, notes Wisbeski. Knowing there must be a better way, Wisbeski searched for tools to help team leaders keep tabs of their equipment and personnel during active storm response efforts. He found a tech-based strategy, and BWI subsequently launched a test program of SnowBOSS, from INDMEX Aviation. 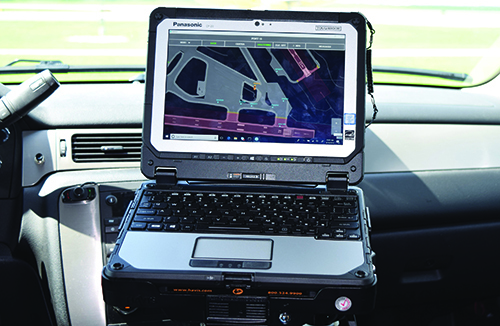 It is an individual module of AirBOSS, the company’s wider-ranging airfield management system. Success during a massive snowstorm led the airport to expand its use of the system. Together, INDMEX and BWI customized AirBOSS for the airport’s unique needs. Using AirBoss Web, the company created a display for BWI that serves as a common operational and Surface Management System. The airport’s maintenance and operational vehicles are outfitted with transponders the size and shape of hockey pucks that track their location at all times. 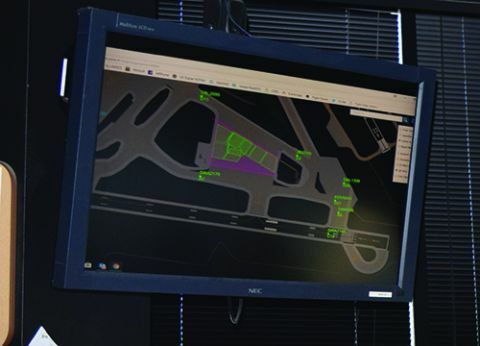 In addition, INDMEX built a real-time web-based airport map that integrates with FAA’s NextGen ASDE-X/ADS-B data to provide the operations team a complete view of airfield operations. This allows the airport to monitor conditions on the airfield and coordinate with air carriers in real-time, explains Nevarez. Further expanding its deployment of the system, BWI now uses the AirBOSS Runway Incursion Warning System. 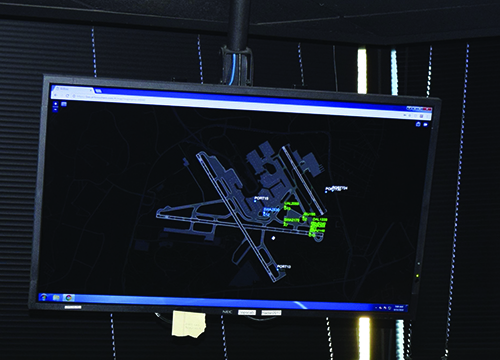 The airport’s operational and maintenance vehicles have laptops equipped with an FAA-certified software platform that warns drivers of other activity in the movement area. Today, BWI has 30 vehicles with tracking devices. The next step in the works is to extend the program to other airport departments and tenants. “We would like to get the fire department and other entities that might drive on the runways and movement area to be part of the system,” says Wisbeski. Currently, BWI is rolling the program out to airlines to assist with deicing activities. Not only will AirBOSS help airlines manage their equipment, it will also allow the airport to identify which ramps are available for snow removal equipment. Wisbeski and Nevarez agree that collaboration has been the key to success regarding airfield management at BWI.